. 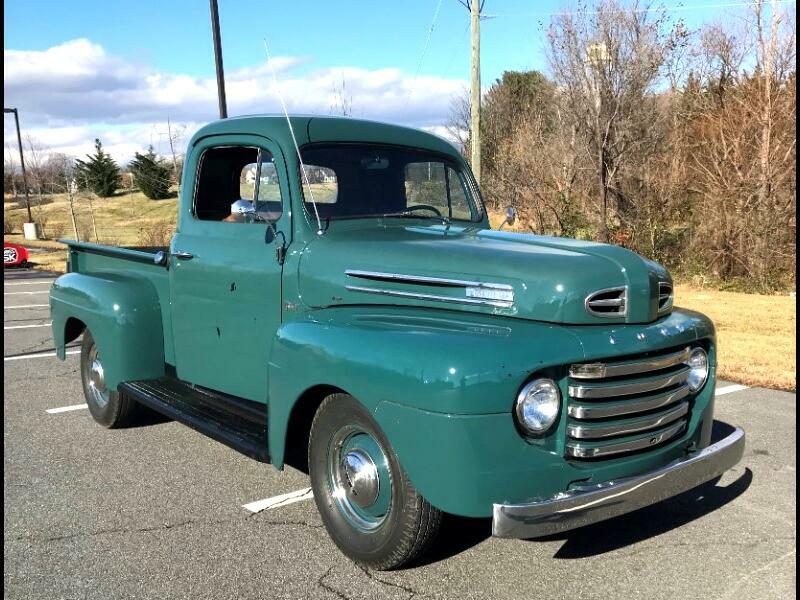 1950 Ford F-1 short bed pick up, fresh from the west coast, and original as they come. Original flathead V8 with optional 4 speed manual transmission with granny gear. . Very clean un-molested rust free truck. Good looking un-restored driver. Engine in this truck runs so quiet, when you pull up to a light, you aren't sure if it is running or not. Clutch is good and so is transmission. Very hard to find one this original. All cars are available for sale WORLDWIDE! We are available to help arrange shipping for you to any destination!! Message: Thought you might be interested in this 1950 Ford F-1. At Champion Pre-Owned Classics Inc we are proud of the quality used cars we sell and our dedication to serve the needs of our customers. This is reflected in the amount of repeat business we receive. Whether this is your first purchase with us or one of many that you’ve had, you can count on our dedicated sales staff to make it the best buying experience possible.